Together we represent leaders in climate solutions from every continent. 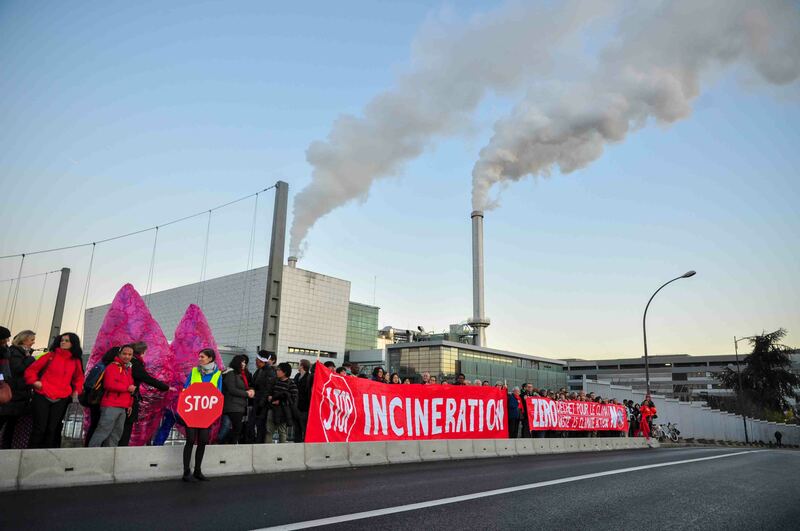 In our communities and countries, we are blocking dirty energy projects like waste-burning incinerators, forming zero waste cooperatives that create jobs while reducing greenhouse gas emissions, and advancing the redesign of unsustainable products and economic systems. Our governments did not leave Paris with a legally binding commitment to protect us and the planet from climate chaos. As such, we renew our commitment to advancing grassroots-led climate solutions in our own countries while ensuring strong national policies on energy and waste that result in real reductions of greenhouse gas emissions. The scale of action needed is unprecedented. Millions of people, predominantly in the Global South, are already facing the disastrous effects of climate change, paying for unsustainable economic decisions with lost homes and lives, ravaged livelihoods, communities, and environments. It’s clear that the pollution that affects our health is also driving dangerous climate change, and that the root cause lies within a linear economic system that destroys dwindling finite resources, depends on dirty energy sources, and causes untold harm to human life and other living beings. 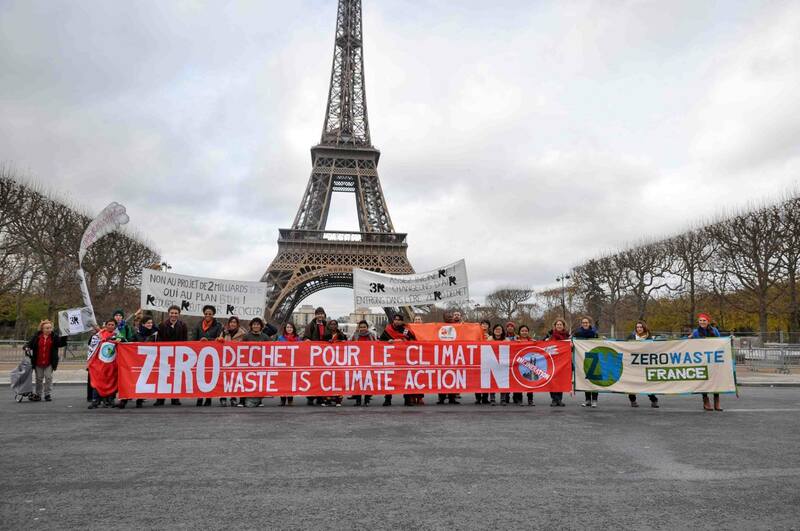 The climate deal reached in Paris is high-reaching but hollow. The agreement relies significantly on tended Nationally Determined Contributions (INDCs), which in our own countries have often been found to be inadequate or misguided. The agreement also fails to address climate debt and does not ensure sufficient financial support for vulnerable communities and clean energy initiatives. 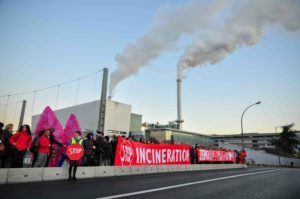 It opens the door to false solutions like so-called “waste-to-energy” incinerators, biomass burning, and carbon trading schemes. Finally, the agreement does not legally require countries—particularly those which have historically emitted the most greenhouse gasses—to cut back on their emissions. Members of our delegation have looked in detail at their national INDC plans. We have seen that some of them promote burning our forests and our organic waste rather than returning this biomass to the soil where carbon can be sequestered, improve soil health and fight climate change. Others promote waste incineration over recycling, a process that releases more climate pollution per unit of energy than a coal plant. These policies would allow our governments to fulfill their commitments without any real pollution or emission reductions. They are dangerous for our health and they are not going to keep us below 1.5 degrees Celsius of warming. 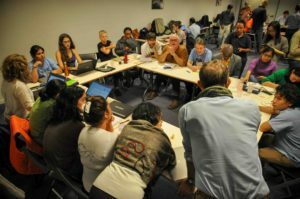 The Paris Agreement means that the work of ensuring actual emission reductions and creative solutions will be performed by leaders in climate solutions such as GAIA members across the globe, who are changing local economies and moving the global system. Zero waste solutions, alongside other community-led climate action, will contribute to achieving the proclaimed global target of a maximum of 1.5 degrees global warming, embracing the principles of conservation of materials, the reduction of toxics, equitable distribution, and access to resources. Standing in solidarity with grassroots and frontline communities around the world, we believe that the changes we need will come from our collective empowerment to hold governments to account and challenge corporate power. Whilst the final agreement was under discussion, we were inspired to be part of the 15,000 people who took to the streets of Paris, despite a state of emergency and in defiance of a ban on protests, demonstrating an assertion that the future of our planet will not be left in the hands of a tiny number of ‘representatives’. This bottom-up pressure will form the backbone of any effective action on climate change and opposition to environmental destruction. It will be up to us to block these false solutions and promote zero waste, clean energy alternatives. We need a rapid and just transition towards a sustainable and toxic-free circular economy, ensuring the protection of our earth’s finite resources for future generations. We need a complete paradigm shift that will take us from old unsustainable, toxic and linear systems towards solutions-based pathways. There is no more time to waste.